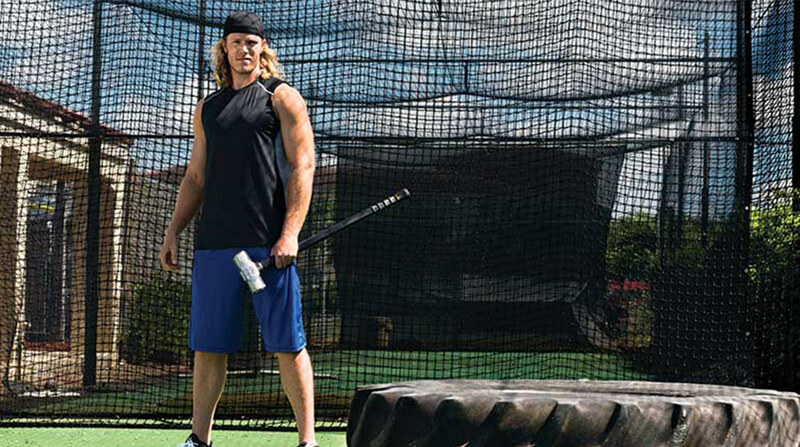 Professional baseball pitcher Noah Syndergaard signs partnership with the Muscle Milk® Brand . CytoSport, Inc., the parent company of the MUSCLE MILK® brand, announced today that the brand has signed a partnership with professional baseball pitcher Noah Syndergaard. The starting pitcher, an avid user of the brand’s protein products, will be heavily featured in marketing efforts throughout New York and the rest of the country. The MUSCLE MILK® brand will feature Syndergaard in marketing collateral at retail locations throughout New York, in digital and social content and through unique brand experiences for retail and distributor partners. Would you drink a cocktail made from SPAM? Bar now offering unusual drink on its menu EXCITING cocktail combinations pop up all the time, with drinkers keen to try something new and fresh. CytoSport, Inc. is among the most trusted and recognized sports nutrition and functional beverage companies in the United States. As the maker of MUSCLE MILK®, MONSTER MILK® and CYTOMAX® brands, CytoSport, Inc. is dedicated to providing premium protein products that elevate everyday performance for every body. Our portfolio serves the needs of elite athletes, active lifestylists and weekend warriors with a wide-range of innovative protein-enhanced solutions that taste great and appeal to evolving consumer demands. The company is a trusted partner with storied collegiate athletic programs, world-class professional athletes, and elite training facilities. All CytoSport, Inc. powder products are NSF Certified for Sport® ensuring their safety and freedom of banned substances. In 2014, Fast Company listed us as one of the world’s top 10 most innovative companies in fitness. CytoSport, Inc. was also named one of CircleUp25’s 2013 most innovative companies for consumer brands (specifically the MUSCLE MILK® brand) by Forbes magazine. The company was founded in 1998 by the Pickett family, acquired by Hormel Foods Corporation in 2014, and is headquartered in Walnut Creek, Calif.